February IMPACT...We LOVE our members month! 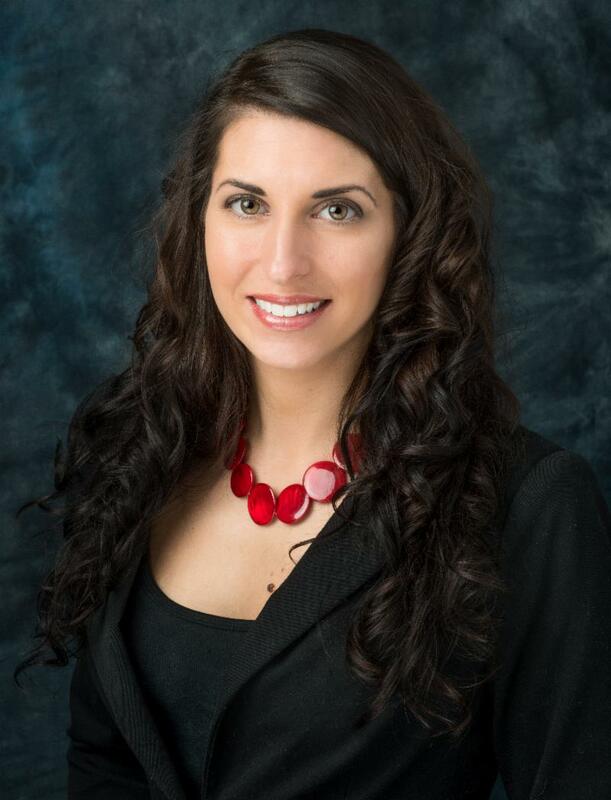 Everything you need to know about YOUR Chamber! February! We LOVE our members month! We are all about showing you the LOVE this month! We have updated our Member Information Center, which gives you updated access to make your profile on the chamber website shine. Members can add links to websites, google map location, a brief bio about their business and so much more! Easy access to register for events, sponsorships, add calendar events, job postings and a BRAND NEW feature, member to member deals. Member to member deals is a great way to offer a special discount or item only to other chamber members! Businesses can use the all new member map to see where you are located. If you have not received an invitation to link to the new Member information center, please reach out to myself or Michael. We are eager to ensure that all of our members have the most up to date information as we are preparing for the 2019/2020 Directory. 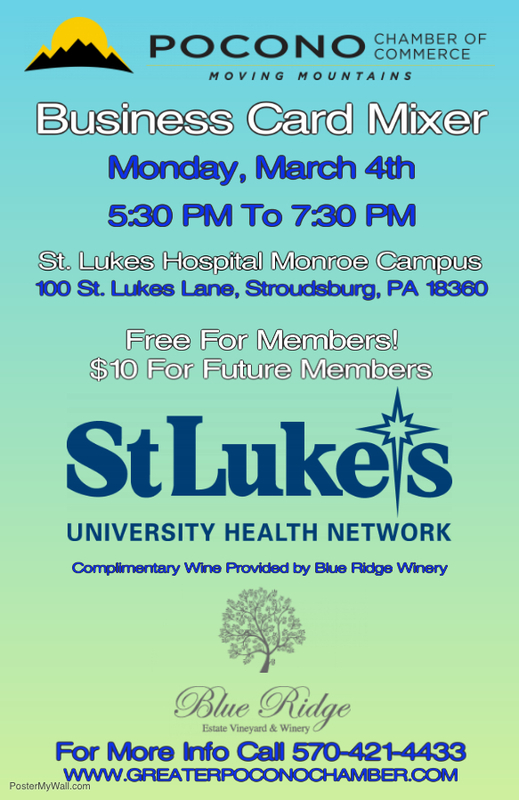 If you have questions about the new features, please join us TOMORROW at the Holiday Inn Express located on West Main Street in Stroudsburg beginning at 8 AM for Coffee and Commerce. We will be going over all of the new features and we will be offering a sweetheart of a deal for any one who attends tomorrow! Our Valentine's Day hijinks do not end there though, we also have a Ribbon Cutting scheduled with Farmer's Insurance Gary Alt beginning at 4:30 PM, located at 5019 Milford Road Suite 7 East Stroudsburg, PA. Show some love and come out and meet Gary, There will be raffles, food and networking! Because...our FAVORITE thing to do is share our love of the chamber and hear from our members, show them how to best use their membership and how to get involved! Always so much to do when you're a chamber member! The next few weeks of events range from hearing from our legislators to networking, an update on the economy and how to keep your tax dollars in Monroe County! Click the link below for a full list of chamber events! Sponsorships are also available for all of these events! Questions? Email Valerie for full details on all sponsorship packages! 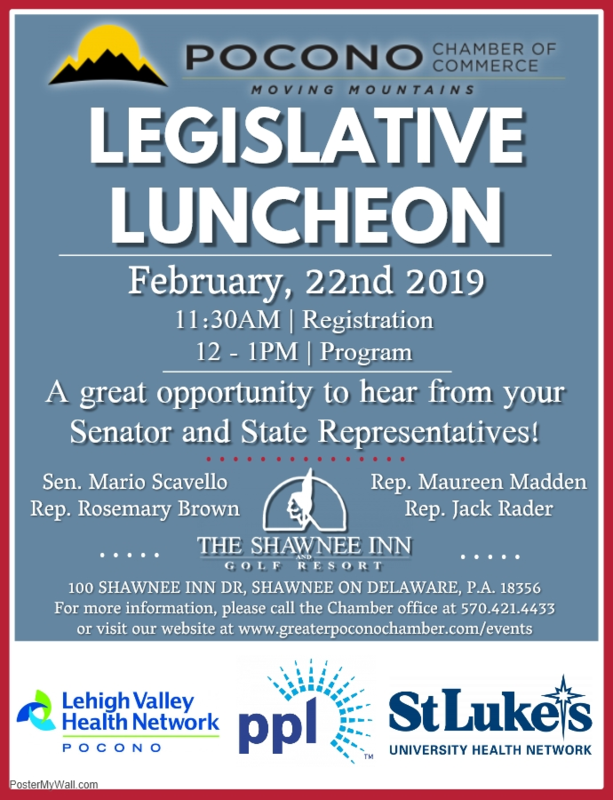 Hear from your PA State Representatives and have an opportunity to ask questions. Come out and grow your network! This is a FREE Benefit to all of our current members! 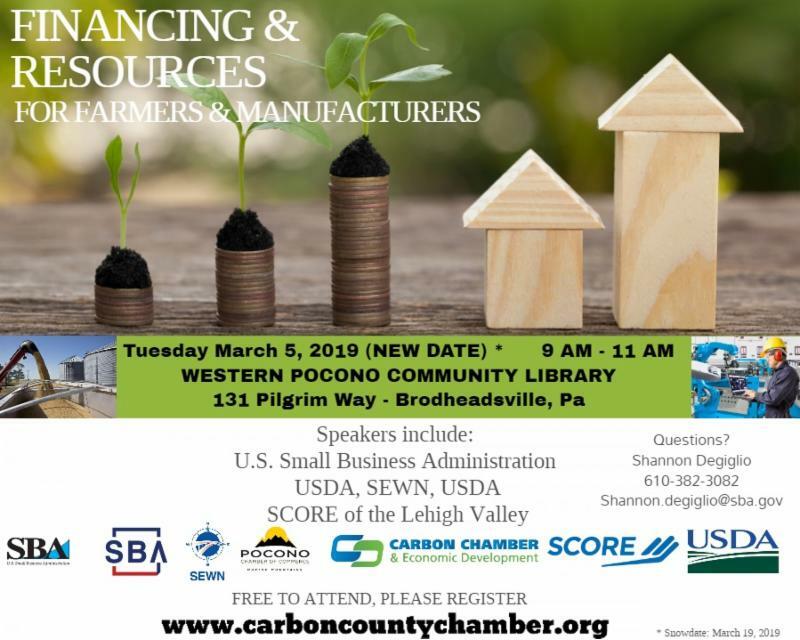 Hear from representatives from the USDA, SBA, SCORE and SEWN. Celebrate with us all things green, Spring, St. Patrick's and Pickles! 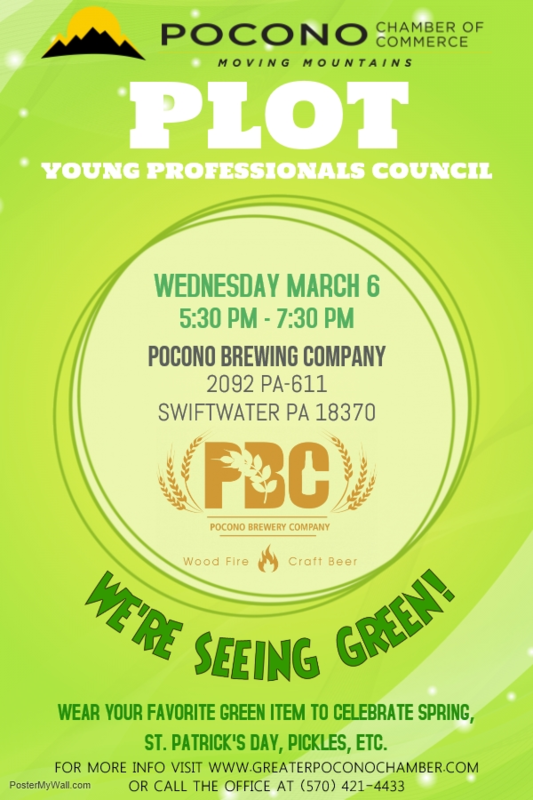 Appetizers provided by Pocono Brewing Company and Cash Bar Available. Hear from Paul V. Conforti, CPA of Riley and Company on tax tips. 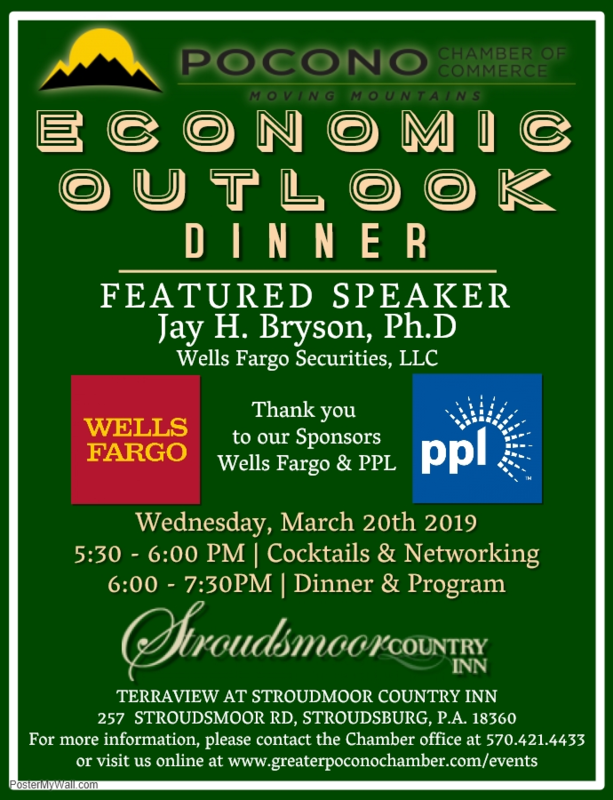 Then hear from Dr. Jay Bryson of Wells Fargo Securities to learn the projections of our current economic state. Thank you to our many sponsors who make this event possible! 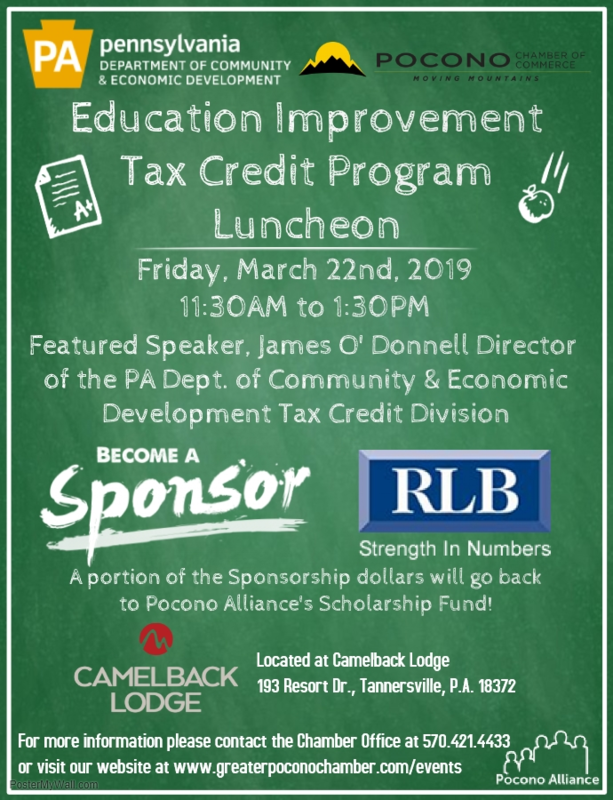 Hear from Jim O'Donnell Director of the PA State Community and Economic Development, Tax Credit Division. He'll be sharing with our business community how to keep your tax dollars in Monroe County to benefit education! Thank you to our sponsor RLB Accountants who will also be on hand to answer any questions about this tax credit! Sponsorships are still available for this event, and a portion of the proceeds will be donated as scholarship dollars for Pocono Alliance! · Check all of your vents to be sure they are free from obstruction. This includes items children or pets may have placed on top of a vent or dirty filters. Anything obstructing your vent will cause your system to use more energy to push the air through. · Close your fireplace damper if you are not using it. Leaving it open is like having a window open. · Use insulated drapes or curtains. In the winter, keep them open on the south facing side of your house to allow sunlight in and closed at night. Water temperature can also affect your energy costs. Lower the temperature in your water heater from the typical 140 degrees to 120 degrees. Most people don’t realize that the largest cost related to running a washing machine is heating the water. Try to do a few loads in cold water and air dry your clothes in the warmer months. Another issue you may not realize or think about is something called standby power or vampire power. This relates to the power used by appliances when they are plugged in but not in use. So while an appliance may be turned off, it continually draws electricity all day. Consider these two options to decrease your energy use. · Buy a power strip with a switch. You can plug in all of your like appliances into one strip and turn off the switch when not in use. Some examples of like appliances are a computer, printer and shedder in a home office or a television and gaming center in a family room. · Unplug all appliances which aren’t used regularly, such as a toaster oven or space heater. Unplug cell phones, tablets and laptops after they are fully charged because they will still draw energy when plugged in. Lighting accounts for 20 percent of your monthly energy use. You can get immediate results by switching all of your bulbs inside and outside of your home from incandescent to LED bulbs. An added bonus to using LED bulbs is you are helping the environment. Every 60 watt bulb replaced with an LED bulb saves you $4 a year. That’s $160 per year for a home with 40 bulbs. Finally, you can take a free online energy assessment on our website. 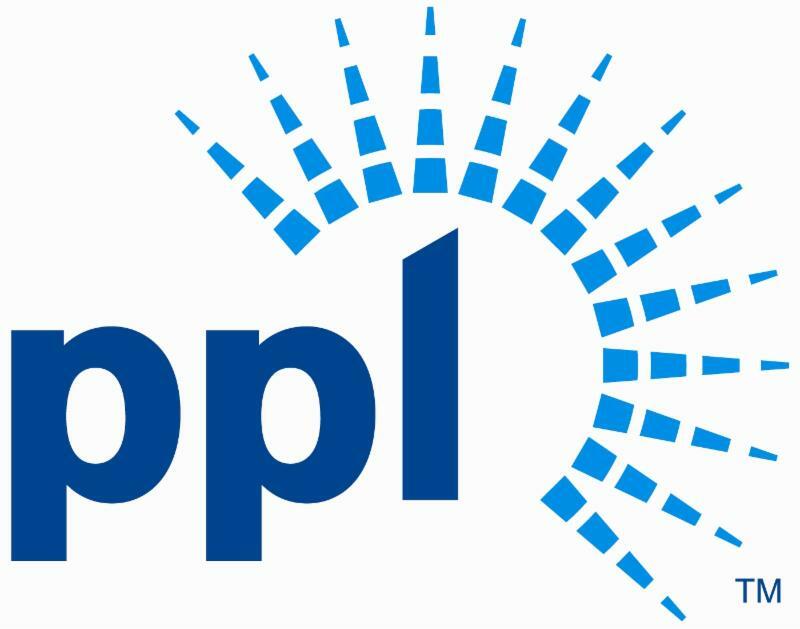 Go to www.pplelectricsavings.com/onlineassessment. We provide you with an assessment and energy saving recommendations and offers customized to your home. You can even receive a free energy efficiency kit! And those with a qualifying income, we will perform an in-home audit and provide free energy improvement recommendations. Some homes even qualify for a new refrigerator, water heater and heating and cooling system repairs or replacement. Remember saving money on your energy costs doesn’t have to be difficult or uncomfortable. We invite you to try these simple ways to save money and reduce your daily power consumption. Your Pocono Chamber membership includes the ability to attend all Lehigh Valley Chamber events! With nearly 50 events per month, there is something for everyone! 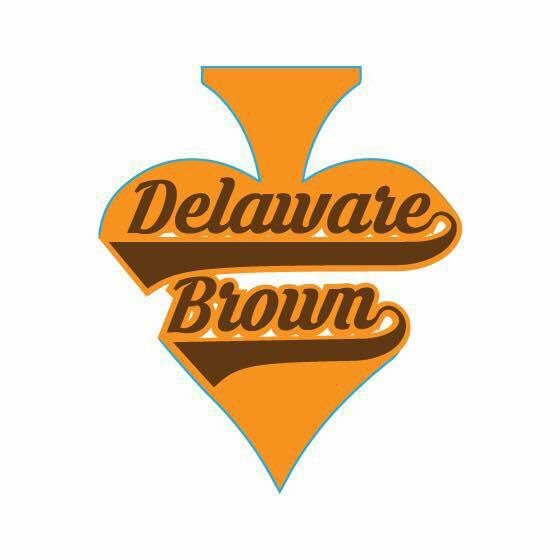 Thank you to our NEW Women in Business Program Sponsor! All of your Women in Business ads will look amazing printed from Minuteman! We cannot wait for you to meet Donnell! He will be recording videos of our events and we will be sharing them on our social media pages and in our newsletter!